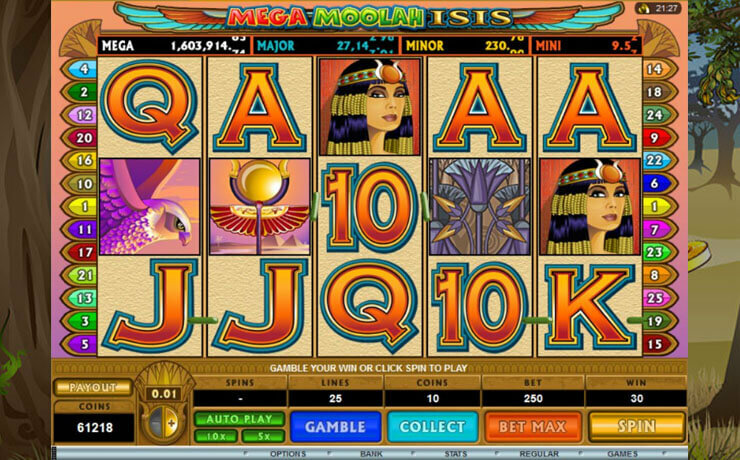 Delve into a thrilling game of chances with, yet again, another Mega Moolah jackpot slot by Microgaming – Mega Moolah Isis, which you can now play on HappiStar, along with many other interesting slot games. 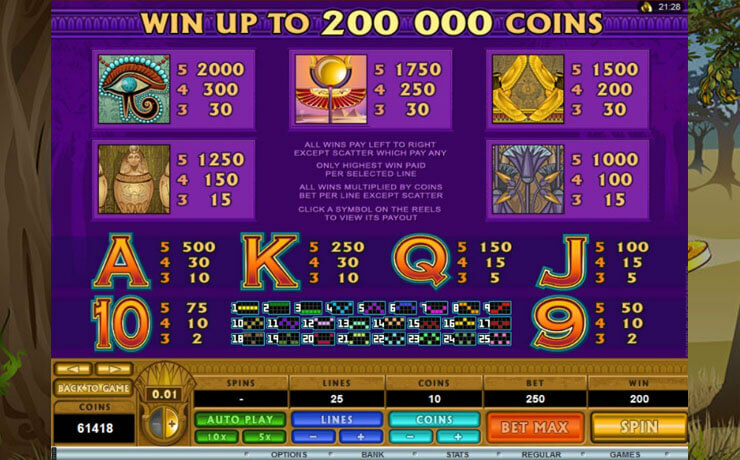 The game puts you on a rewarding quest across the mysterious depths of Egyptian mythology, all in the name of multiple jackpots. 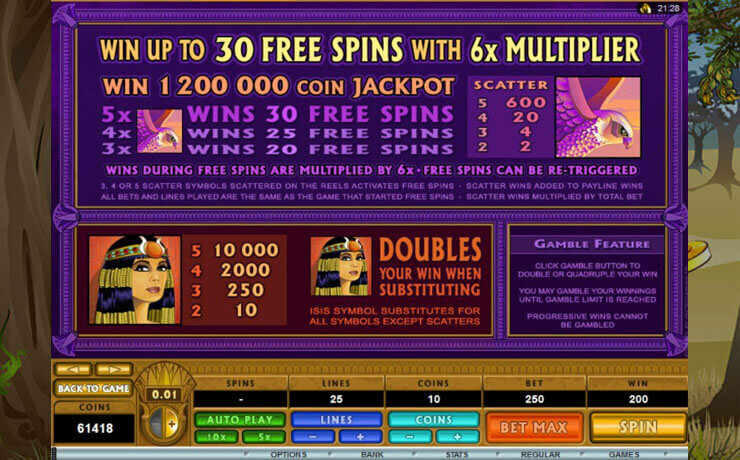 Various rewards are lurking on Mega Moolah Isis’ five reels and 25 paylines. To name a few, Isis, the Egyptian goddess of fertility, is the game’s Wild symbol that can bless your bankroll with up to 10,000 coins. You should also watch out for the Hawk Scatters as they offer up to 20 free spins. Isis bestows most of her riches during the most rewarding part of the game – the giving of the Mini, Minor, Major, and Mega Jackpots. To get your hands on these rewarding bonanzas, wait for the randomly triggered Jackpot Wheel round to appear. 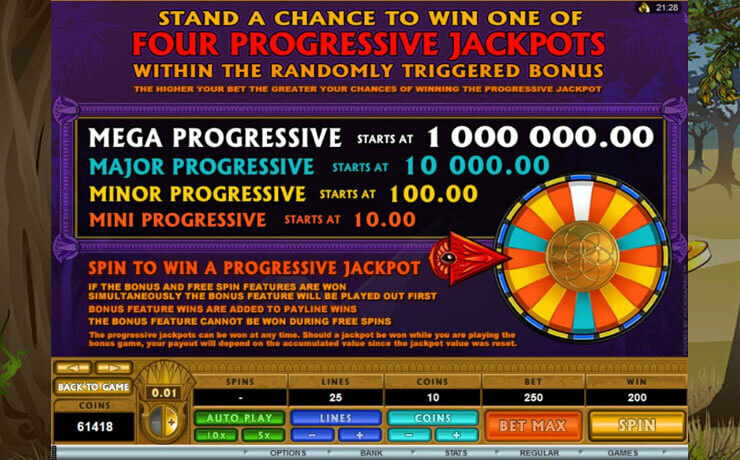 Payouts for Mini, Minor, and Major progressive jackpots start at 10, 100, and 10,000 credits, respectively. The Mega jackpot, on the other hand, gives you the chance to win a whopping prize of 1,000,000 credits. Simply spin the wheel and pray that the Egyptian gods of fortune will be on your side. When a slot game combines multiple paylines with a rewarding feat of jackpots, an interesting theme, and a straightforward gameplay, you are in for a rewarding spinning adventure. 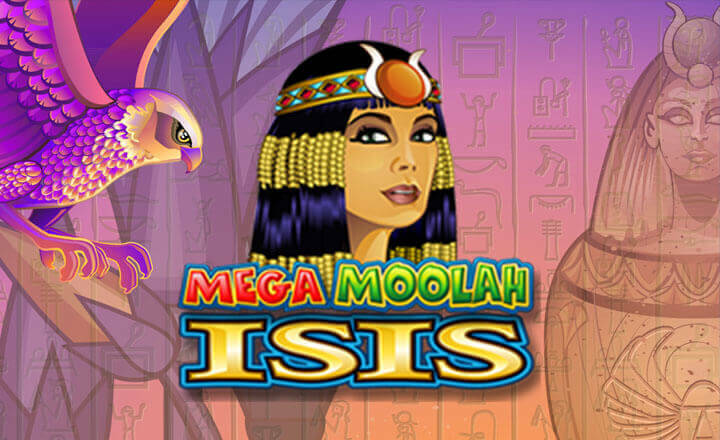 Test your luck by giving Mega Moolah Isis a spin today.